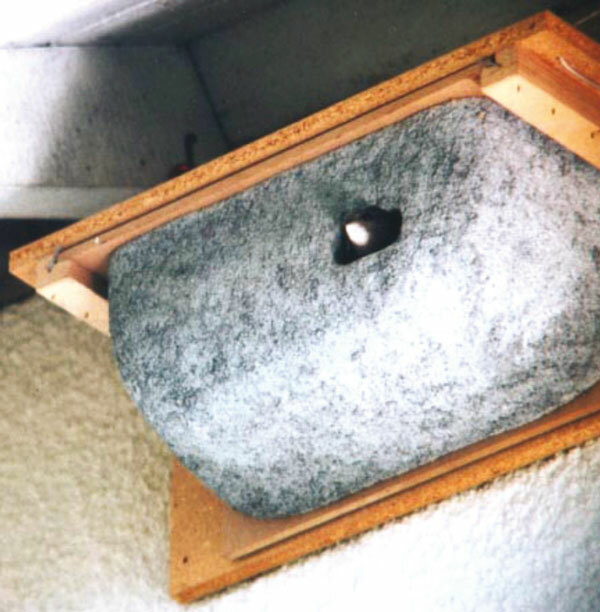 This attractively styled Swift Nest is readily accepted by the Birds and has proved highly effective when installed under eaves. 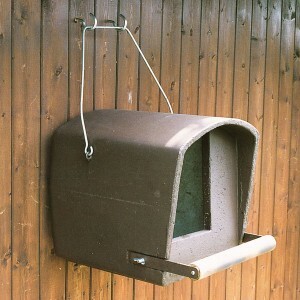 It can be attached by screws to walls or in an overhead position, e.g. on ceilings. 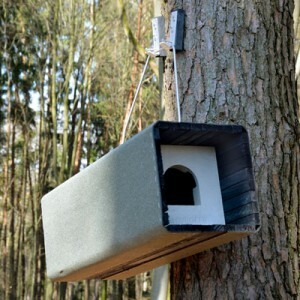 We recommend painting the angled board with exterior wall paint but to leave the bowl as supplied in order to improve thermal insulation and provide a better grip for the Birds. The angled board makes it much easier to install, even on difficult sites, because any sawing, drilling or screwing can easily be carried out. Material: Air-permeable SCHWEGLER wood-concrete with long-lasting, formaldehyde-free chipboard frame, ­suitable for painting. Siting and Positioning: On external façades or under the roofs of all kinds of buildings, for example, houses, industrial buildings, churches, road structures, walls or even cliffs and rock faces. 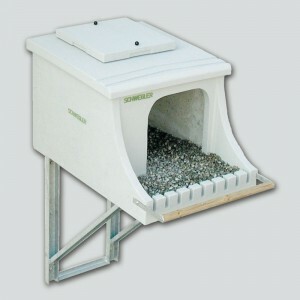 Similar to all our other Swift boxes but, since the chipboard panel is moisture-resistant but not rainproof, it should always be placed under overhanging eaves or in some other sheltered site. Cleaning: The entire nest can be removed from the frame. 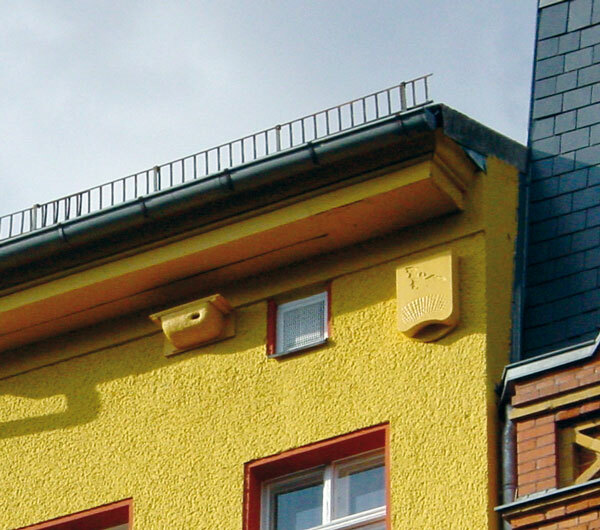 When it is replaced the nest is locked back into position using the angled nails. Internal dimensions: W 34 x H 14 x D 15 cm. 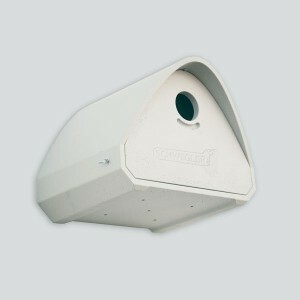 External dimensions: W 50 x H 19 x D 22 cm. 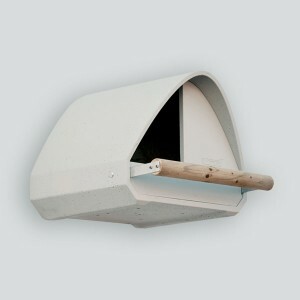 Includes: Nest box with wooden angled board.